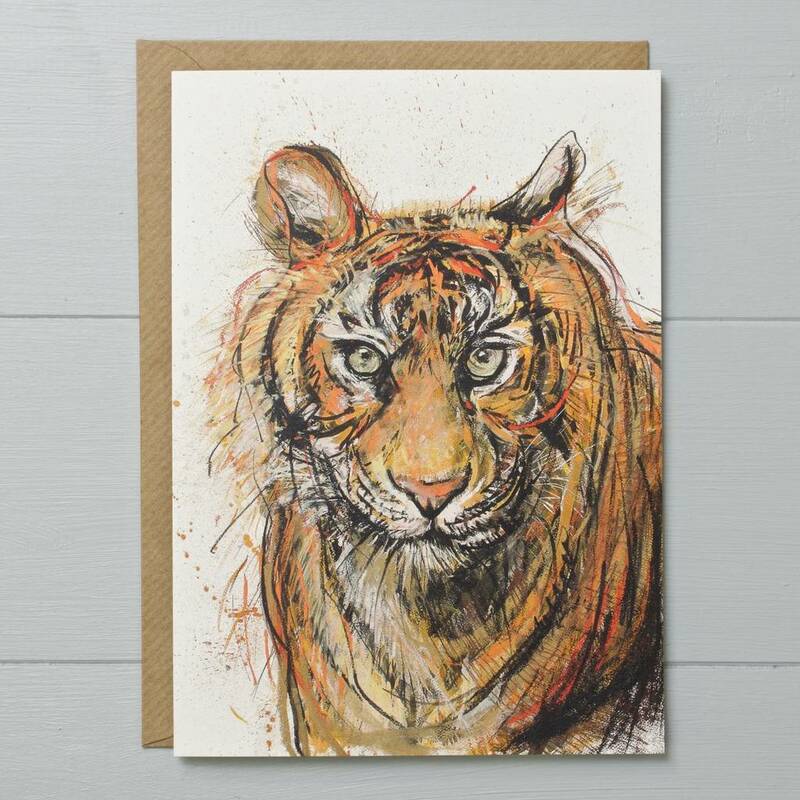 An expressive tiger themed greeting card. 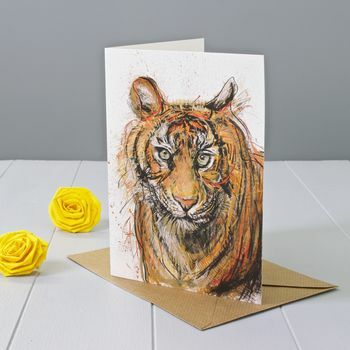 This card would be lovely for any animal lover, young or old, and it would be very suitable for many of life's occasions like birthdays, good luck, anniversaries, passing an exam or to say thank you. 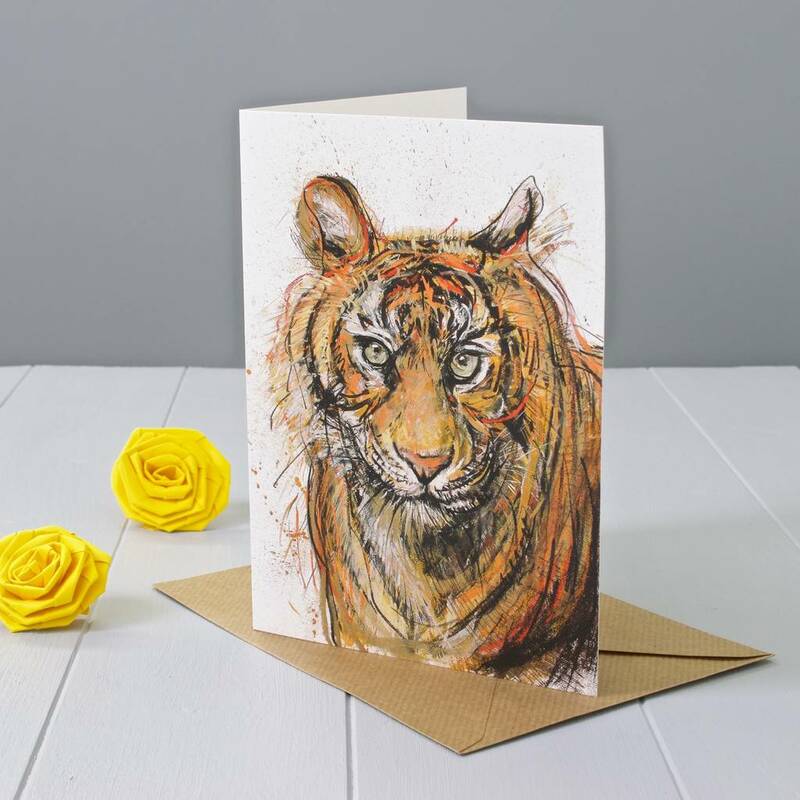 The greeting card is a reproduction of a pastel and ink drawing by us and if you look carefully the tiger has eyes that are always looking at you where ever you are in the room! Just choose the option to get the card sent directly and we will write your chosen message inside the card exactly as it is specified in the text box provided. Remember to change the name and the delivery address to the recipient at the checkout. The card comes with a brown kraft envelope in a cellophane bag (unless sent directly to the recipient in which case it will arrive in its brown envelope).